Furnace Maintenance | Richmond, VA | Carroll Plumbing & Heating Inc.
HVAC systems thrive on the downtime offered in between heating and cooling season. However, the optimal time to turn on the air conditioning is before you actually need to, and that time is now! Testing out your air conditioning is recommended before high temperatures arrive in Central Virginia. Whether your system works fine, or you’ve tested it and the air does not work, this is the best time of year for a seasonal tune-up. This comprehensive service benefits not only your equipment, but you and your family, too. In fact, it’s one of the most effective ways to ensure comfort, extend equipment lifespan, reduce energy cost and increase energy efficiency. Carroll Plumbing & Heating acknowledges that seasonal preparation for HVAC systems isn’t a one size fits all approach. Just like every home is different, so is every HVAC system. It’s true right down to the type of equipment, components and system configuration in place. This is why our preventative maintenance is customized to your home and your system. So when it comes to energy efficiency, it’s important first to address the unique factors that play into the performance of your HVAC system. Capacity of the system—Is it properly sized for your house? Efficiency of equipment—High efficiency or standard efficiency? Type of equipment—Central air, furnace or heat pump? Preventative system maintenance—Frequent, rare or never? Age of the system—How old is each piece of equipment? System configuration—What was the quality of installation? If any of these factors are off, it will likely have an impact on the efficiency of your home. Unfortunately, many of these factors are out of your control, and those issues that apply to your home may require a sizeable investment of money to fix. Truthfully, the best way to overcome these challenges is to have routine maintenance and seasonal tune-ups performed. Unless you’re an expert who knows their way around the entire HVAC system, hiring a professional HVAC technician is your best bet for ensuring the safety, health, performance and efficiency of your system. These are all great suggestions, and will most certainly cut back on consumption and cost, but what if these investments aren’t in your budget? 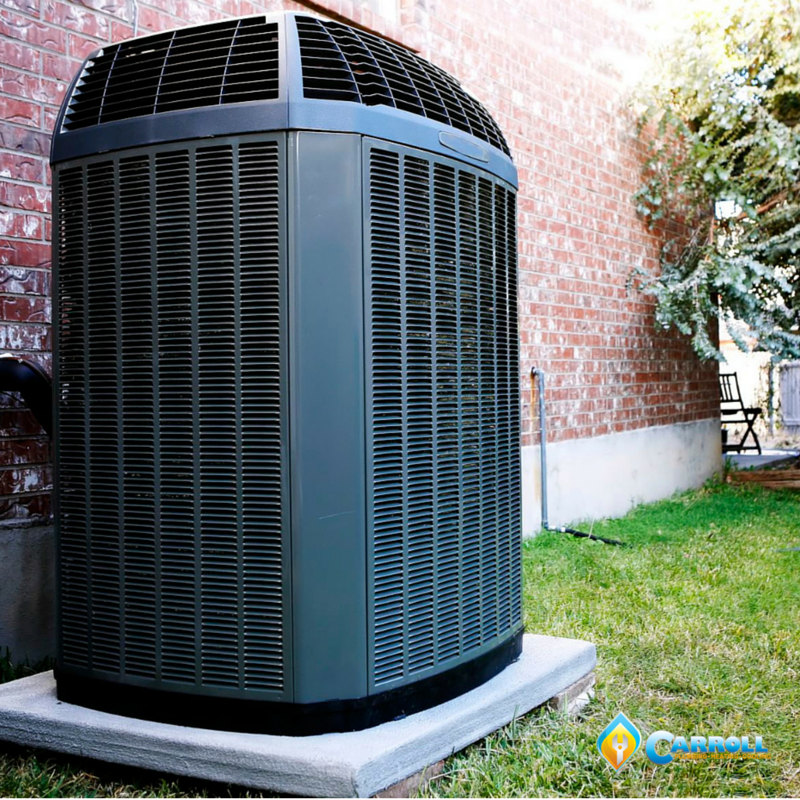 Luckily there are many inexpensive, quick ways to increase your home’s efficiency and all of them result in money saved on cooling costs. Change the air filter. This is one of the easiest, most inexpensive ways to ensure system performance and energy efficiency. According to the DOE, a clean filter can help you save up to 15% on energy consumption. Whether you choose disposable or reusable, 30 day or 90 day, look into the compatibility and energy efficiency rating of various products. Ask your technician at your next service for recommendations on the best filter for your system. Don’t get “switch happy”. Many customers get into the habit of manually adjusting temperature based on the forecast that day. While comfort is key, be aware of big thermostat fluctuations. On especially hot days, you’ll notice it takes a lot longer for the system to achieve desired settings. It can actually take up to 24 hours for a house to cool down when the temperature has been raised. Take advantage of programmable features. Are you guilty of being “switch happy”? Manually bumping temperature up and down throughout the week, can have a major impact on how your home feels and how your energy bill looks. Program thermostats to your temperature preferences for day and night, and put the fan in the “on” position as opposed to “auto.” This makes sure air is constantly circulating even when the air conditioning isn’t running. Check every air vent. Don’t close off registers in unused rooms; this causes added stress on those that are open. Heat rises, so this especially applies to air vents on second stories since upper levels of your home should receive more than 50% of cool air. Run that attic fan! Heat transfer between the attic and the ceiling can really add up on energy bills during cooling season. We’re all probably familiar with the extreme heat in our attic on hot days. The heat has nowhere to go so it seeps through the ceiling to rooms below. An attic fan circulates some of that heat back outside keeping upstairs rooms cooler. Maximize comfort and efficiency with a seasonal tune-up! At Carroll Plumbing & Heating Inc. we understand that your HVAC system is unique to your home. This is why we take care in understanding your comfort and efficiency concerns during service. 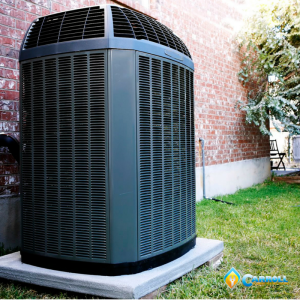 Our technicians will perform a full inspection of your system to ensure you’re running at optimal efficiency and performance this cooling season. To schedule a system tune-up or for more information on home efficiency, contact Carroll Plumbing & Heating today!